What Auto Wreckers could Offer You? Car Wreckers�Ellerslie Buying automobile every Day! Selling A unwanted Car Has Never Been Easier! We encourage you to contact us if that scrap, wrecked, used, near new, unwanted, obsolete and/or damaged car, truck or van or Ute you have, is beyond hope, missing the title, or for free abandoned car removal. Book your Unwanted vehicle�Today! No WOF? No COF? No Problem! Having difficulty with your paperwork? Our staff will guide you through the removal process�of your needs. Car Wreckers�buy junk cars, junk vans, junk trucks, junk vehicles. Call JUNK Car Wreckers�Auckland Today to Sell Your Junk Car for Top Cash! Car Wreckers�Ellerslie is proudly serving your area and we are your number one choice for selling and buying�all type of�cars, trucks and vans and�more! Tired of constantly spending money on your old Vehicle? Scrap Car Wreckers�Auckland offer free junk Scrap�car removal with top cash paid on the spot! We are your No1 most trusted choice for selling and buying unwanted cars, trucks, Ute�and vans! 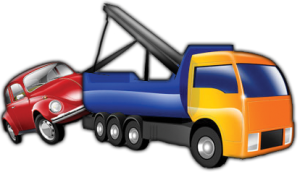 Our experience, along with our extensive network of towing companies, will be able to remove your vehicle no matter where your Vehicle is situated we can collect your vehicle for top cash today &�every day. We offer free of charge service Auckland wide. Call Now 0800 227 973! Vehicle Wreckers Dismantling & Buying ! From 1985 To 2015 any disorder!! Toyota, Nissan, Mitsubishi, Honda,� Suzuki, Mazda, Isuzu, Audi, Renault, BMW, Chevrolet, Ford, Hyundai, Jeep, Kia, Land Rover, Mercedes, Volkswagen Volvo, Nissan, Fiat, Chrysler, Holden, Peugeot, Scania, Canter, Fuso vehicle we are buying for cash today. Check out our Toyota�wreckers page today�page for more details. 1. You can simply submit your vehicle online by filling out the instant Quote form in your right hand side or call us on 0800 227 973 and we can roughly give you an estimated offer over the phone. 2. We will then assign a truck driver to come and assess your vehicle,� and make you cash offer for your vehicle. Auto Wreckers�Ellerslie will serve all of��the Great Auckland region! Keeping our�environments �clean and green is important our own future and most importantly for our younger generation up coming. Check out Car Wreckers Wellington if you are living anywhere in Lower hut! Top cash for cars, van, ute & Trucks today!